Lewis tries his best to move on and their friendship survives, but the feelings he has for Max don’t go away. He faces other challenges as he deals with coming out to his parents, and needs Max’s support more than ever. But Lewis isn’t the only one who’s conflicted. When Max finally admits he cares for Lewis too, Lewis must decide whether he dares risk his heart again on being more than just friends. Can Jason find the courage he needs to be the man Seb deserves? When Seb Radcliffe relocates to a seaside town in Cornwall, he feels like a fish out of water. He misses queer spaces and the sense of community he enjoyed when he was living in the city, and decides to open an LGBT-friendly cafe–bar. Jason Dunn is the builder Seb hires to help renovate the rundown space where the cafe will be housed. Jason is also gay, but unlike Seb, he’s deep in the closet. He’s never had a relationship with another man—only allowing himself the occasional hook up with guys who are prepared to be discreet. The attraction between the two men is instant and impossible to ignore. But while Seb is out and proud, Jason is terrified of being exposed. With the grand opening of Rainbow Place approaching, tension is growing among some locals who object to Seb’s plans. When things escalate, Jason is forced to choose whether to hide in the shadows and let Seb down, or to openly support the man he’s fallen so hard for. Although this book is part of a series, it has a satisfying happy ending and can be read as a standalone. Release Blitz: Second Chance by Jay Northcote + Excerpt! Nate and his teenage daughter need a fresh start, so they move back to the village where he grew up. Nate’s transgender, and not used to disclosing his history, so it’s hard living where people knew him before. When Nate reconnects with Jack–his best friend from school and unrequited crush–his feelings return as strong as ever. Jack’s returned home to get his life in order after an addiction to alcohol caused him to lose everything: his job, his driver’s licence, and nearly his life. He’s living with his parents, which is less than ideal, but rekindling his friendship with Nate–or Nat as Jack once knew him–is an unexpected benefit of being back home. Jack is amazed by Nate’s transformation, and can’t deny his attraction. Trying for more than friendship might ruin what they already have, but the chemistry between them is undeniable. Doubting his feelings are reciprocated, Nate fears he’s risking heartbreak. Jack’s reluctance to tell his parents about their relationship only reinforces Nate’s misgivings. With both their hearts on the line and their happiness at stake, Jack needs to make things right, and Nate has to be prepared to give him a second chance. Release Blitz: Pretty in Pink by Jay Northcote + Excerpt! Ryan isn’t looking for a relationship with a guy–and Johnny isn’t looking for a relationship at all. Ryan’s always been attracted to tall, leggy blondes–normally of the female variety. When Johnny catches his eye at a party, Ryan’s interest is piqued even though he’s never been with a guy before. The attraction is mutual, and the amazing night that follows opens Ryan’s eyes to his bisexuality. Experience has taught Johnny that love hurts. Staying single is safer, and there’s no need for complicated relationships when hooking up is easy. When he moves in next door to Ryan, they’re both interested in picking up where they left off, and it seems like an ideal arrangement: convenient, mutually satisfying, and with no strings attached. Despite their best intentions to keep things casual, they develop an emotional connection alongside the physical one. Both begin to want more from the relationship but are afraid to admit it. If they’re going to work things out, they need to start being honest–first with themselves, and then with each other. Release Day Blitz: Watching and Wanting by Jay Northcote + Excerpt! 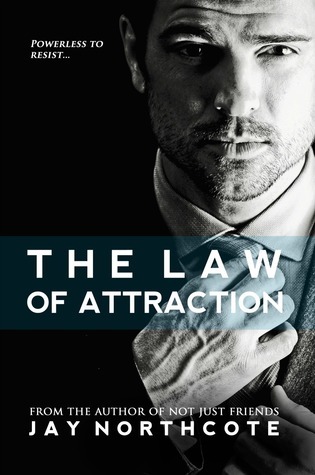 Blurb: When a professional relationship turns personal, it’s impossible to resist the law of attraction. Blurb: Best friends snowed in together. When the heat rises, will they get cold feet? Getting snowed in at a remote cottage in Wales with someone he’d fancied for ages isn’t exactly how Sam expected to spend Christmas. His feelings for Ryan are pointless. Ryan’s straight—or so he thought. As Ryan’s reserve melts away, Sam wants more than stolen kisses under the mistletoe. But a sudden thaw means making decisions. They could face the New Year together—unless one of them gets cold feet.